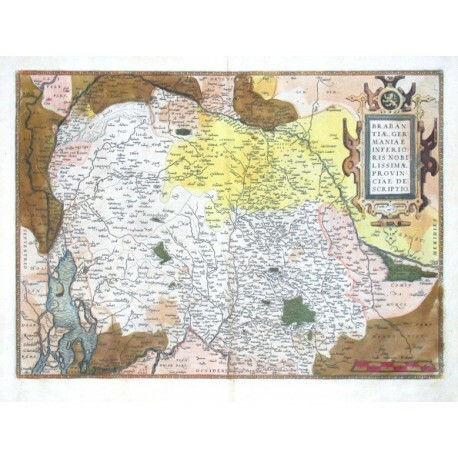 "Brabantiae, Germaniae Inferioris nobilissimae provinciae descriptio". Orig. copper-engraving after the map by J. van Deventer. By A. Ortelius, 1570. Original old colouring. With great ornamental title-cartouche with a coat-of-arms. 36,5:50 cm (14 1/2 x 19 3/4 inch.). V. d. Broecke Nr. 65; Koeman III, map 3100:31A, ed. 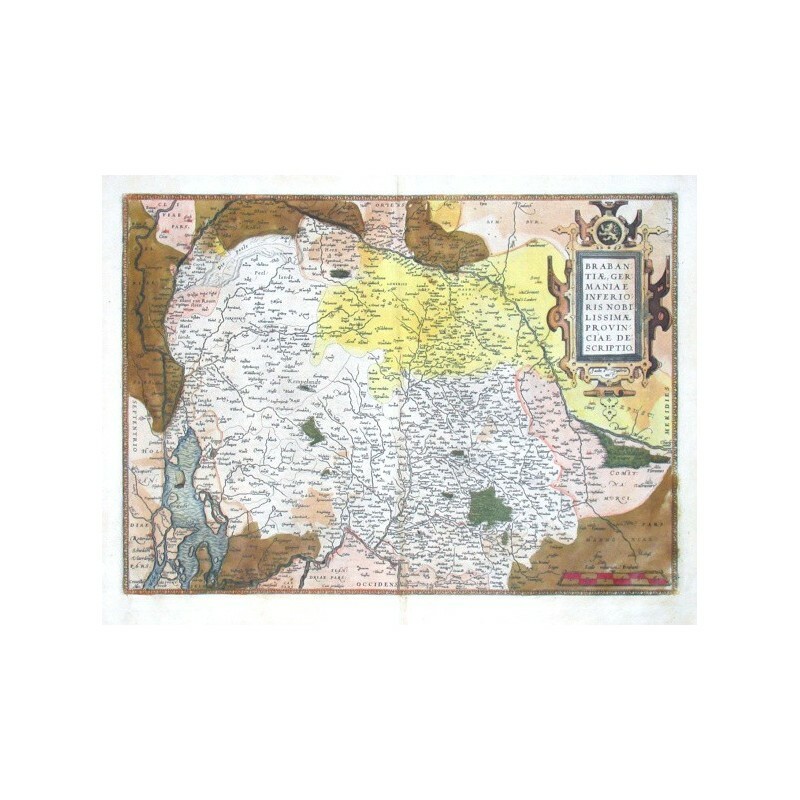 31:031 (1584 Latin) - Decorative map of Brabant. Oriented to the East.